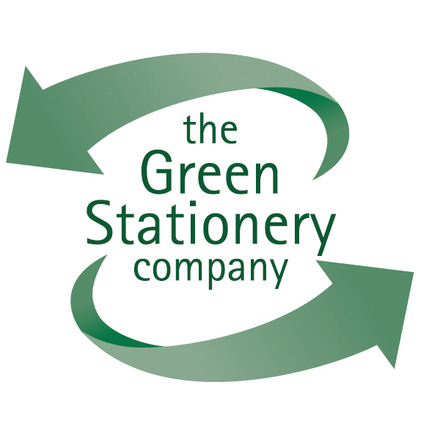 Established in 1993, The Green Stationery Company is the UK's premier recycled paper and green office products supplier. We select products that are environmentally benign or have environmental advantages over their standard office products equivalents. We also provide a promotional products overprinting service, allowing customers to present ranges of their own individualised eco-friendly stationery for use in conferences, corporate gifts and giveaways. We are a mine of information on all green office issues. We also aim to untangle most of the competing environmental claims made by manufacturers. Founder and MD Jay has spent most of his life actively engaged in green politics. In 1989, he combined this drive with a working background in both overseas development and the paper industry to co-found Bath Green Papers, a local supplier of recycled papers - a market then in its infancy. Later, in 1993, Bath Green Papers, helped along by the rise of internet, went national and Green Stationery was born. An epic tale. We aim to maintain sustainable business practices, within a culture that respects all life and honours its interdependence, and to help ease our customers' path to a modern, low-impact office. We operate on the Schumacher principle of 'small is beautiful,' keeping the company's physical size as small as possible so we can achieve the lowest ecological footprint. We've invested heavily in the latest technology so we can provide the most efficient service to our ever increasing number of customers, yet keep our business size relatively small. Although we have been part of the 'green niche' since the company's inception, we are primarily aimed at bringing the frontier of sustainability and ethical considerations to the office environment - combining the economic pragmatism of the bottom line with the holistic pragmatism of the survival of life itself. Buying green office products does not mean a compromise on the price and quality of your stationery service. The Green Stationery Company is now in its 15th year of operation and we supply over 2,000 small, medium and large organisations with all their office needs. We do the work of finding and supplying the best green office products available in the UK today: so when you order from us, you are ensuring the greenest possible supply chain. Green purchasing is an essential element in reducing the huge amount of waste generated by our disposable consumer culture, endemic in most offices.